Super Nails: "With This Ring"
"With This Ring" is the perfect nail polish for anyone who is in love! 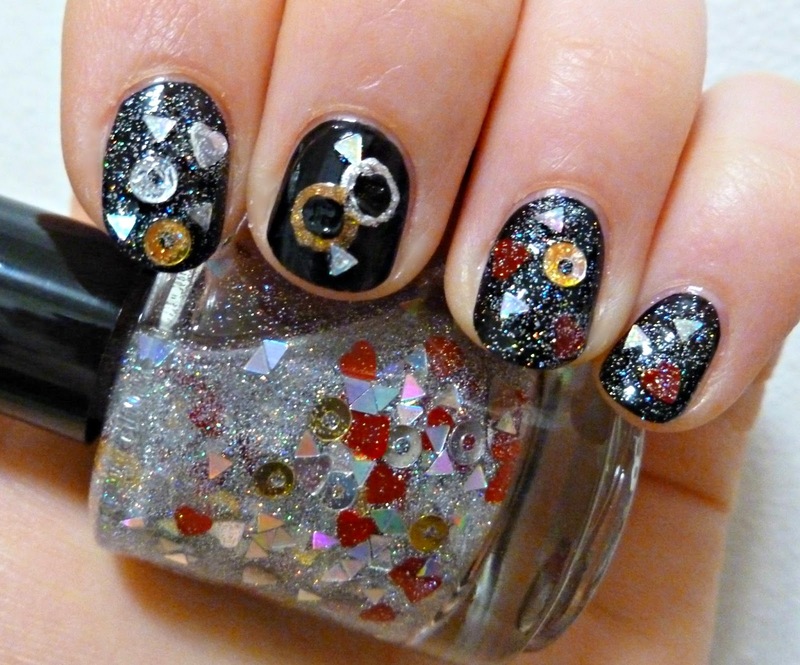 Whether you are married or planning to be one day, this polish is the sure way to wear your heart on your sleeve. Contains red and silver hearts, gold and silver rings, and holographic "diamonds" (triangles) floating in a scattered holo base. Looks gorgeous over any base color. 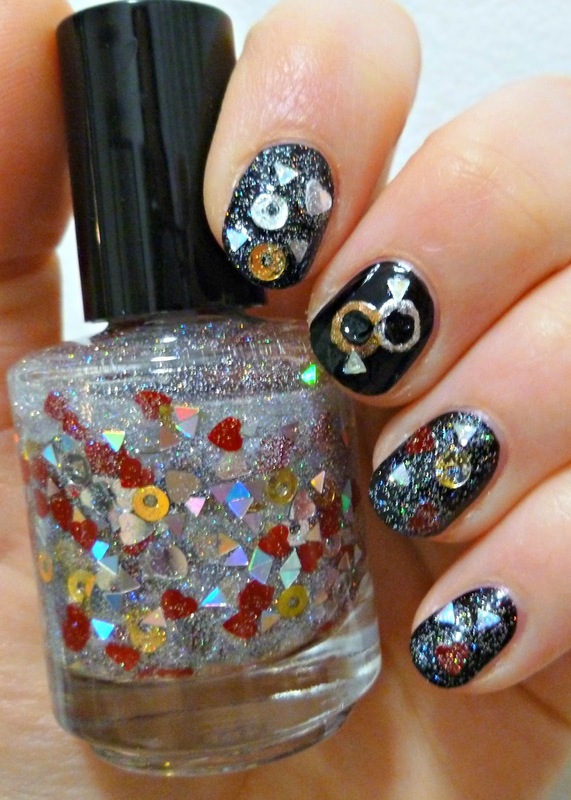 I applied it over a black base to make the hearts and rings pop, and to show the sparkling holo glitters. I even did a little bit of freehand nail art on my middle nail. "With This Ring" is perfect to buy for yourself, or as a gift to a friend or special someone for any occasion. Would even make a cute favor or gift for an engagement party, bridal shower or wedding. Be sure to follow me on Etsy, Instagram, as well as Facebook!